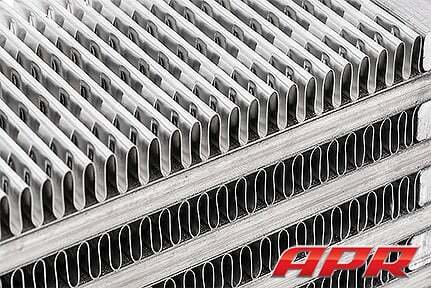 APR pioneered the OEM-location direct-replacement intercooler system in 2006. 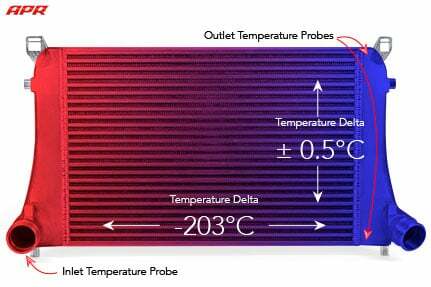 Unfortunately, to the untrained eye, many intercooler designs appear the same. However, effectiveness of the system and overall performance are greatly determined by several key metrics. Alloy selection, end tank design, construction type, fin style, fin density and overall core dimensions must be analyzed and balanced accordingly to deliver class-leading performance. 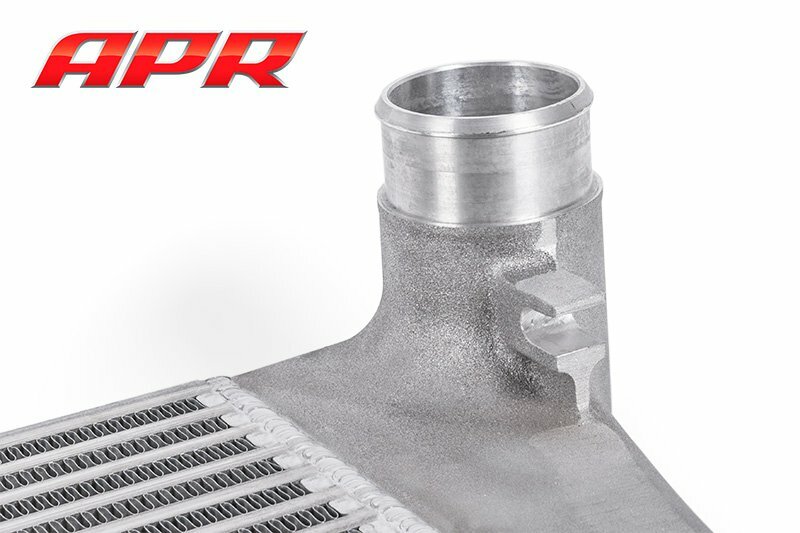 While the OEM’s goal is to create a lightweight, easy to manufacture and inexpensive to produce, cross-platform design capable of supporting factory power levels, APR’s intercooler must be capable of supporting more than double the factory output. Achieving this goal took a multi-step approach focused around intercooler core selection, end tank design and install location. 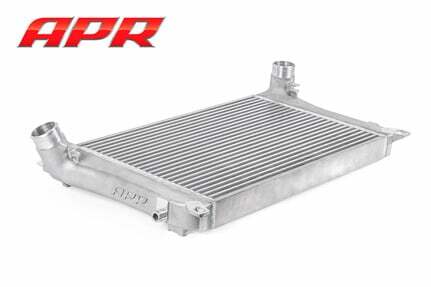 The APR intercooler system’s core volume, in terms of external dimensions, is 78% greater than the OEM GTI and 62% greater than the OEM Golf R Intercooler. 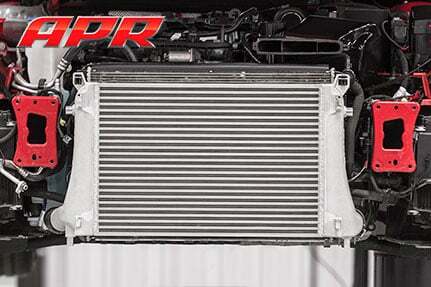 Intercooler placement plays a critical role in overall performance. By utilizing the factory mounting location, APR’s engineers were able to design a core featuring a massive frontal surface area and large core volume, which plays a critical advantage over common short and stubby front mount designs. Utilization of the factory location means the core receives a high volume of pressurized airflow spread across the entire unit thanks to the highly engineered factory air dam system. Furthermore, by keeping the intercooler in the OEM-location and balancing core fin density, the factory air-to-water cooling system is not disrupted, which is ever so critical on this platform due to the use of an integrated cylinder head manifold cooling system. 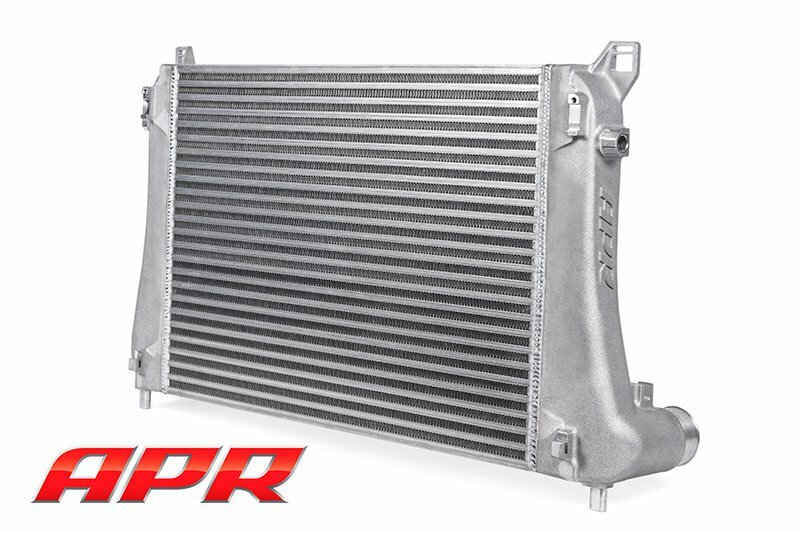 The tests quickly proved the long sought after OEM “upgraded” cooler (factory Golf R intercooler) showed minimal improvement over the standard GTI unit. 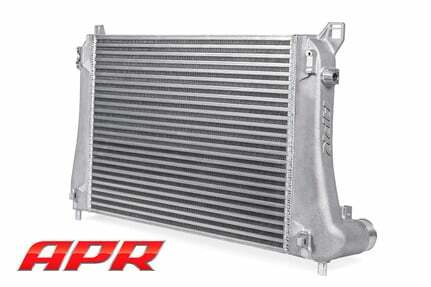 However, the APR intercooler saw a dramatic difference that made a positive impact on performance. 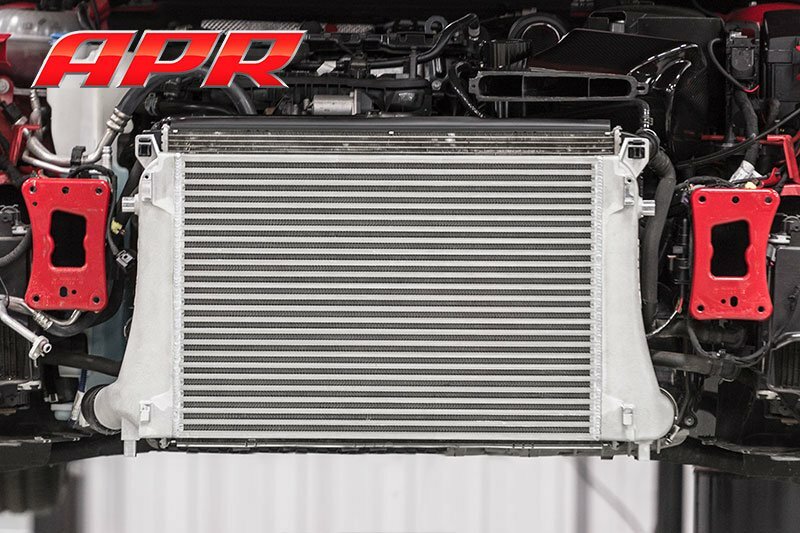 The factory GTI and Golf R intercoolers saw a starting IAT of 43 °C and 42 °C which climbed to as high as 71 °C and 66 °C, respectively, by the end of only the first pull. 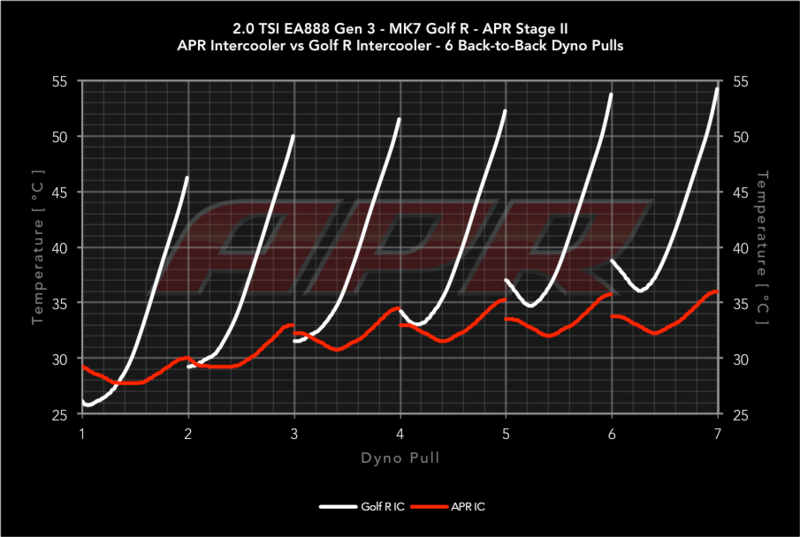 In contrast, the APR intercooler system saw IAT’s drop to 40 °C! The APR system effectively rejected heat soak and by the end of the sixth run saw a final IAT of 49 °C where as both the GTI and Golf R intercoolers struggled to keep up, resulting in a final performance robbing IAT of 84 °C and 82 °C. 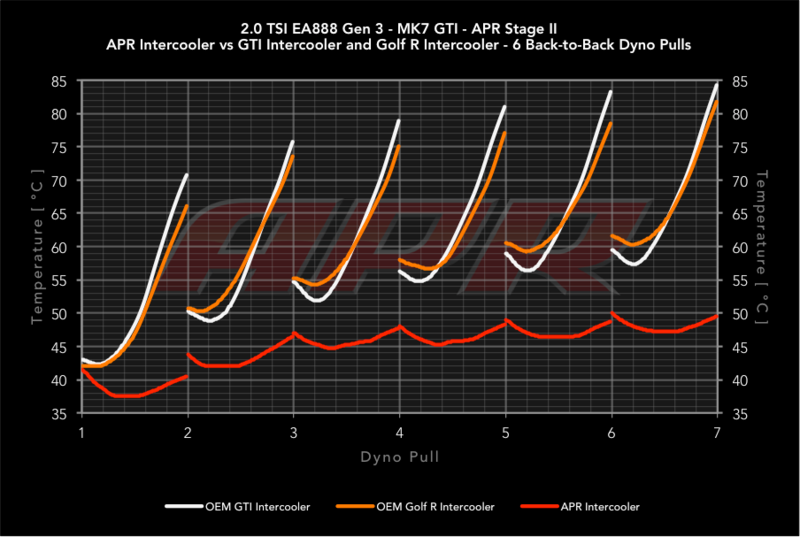 This translated to a final gain of 21 WHP over the GTI intercooler and 18 WHP over the Golf R Intercooler! 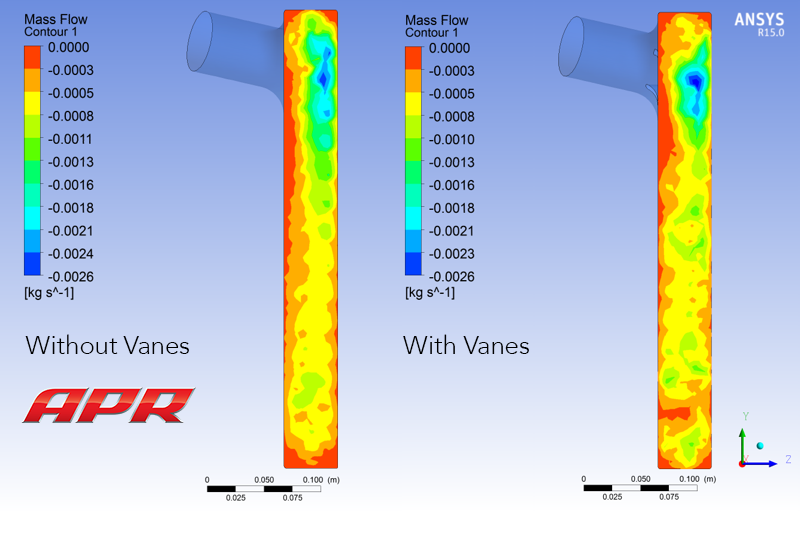 The factory intercoolers saw a starting IAT of 26 °C which climbed to as high as 46 °C by the end of only the first pull. 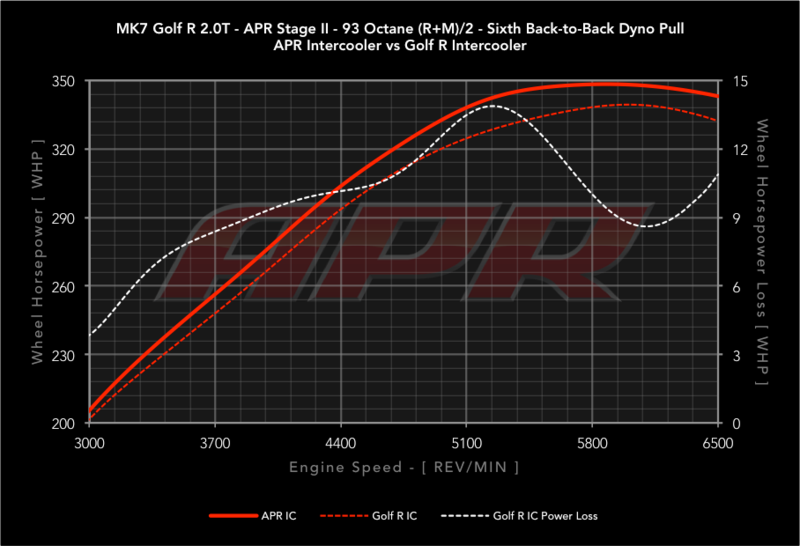 In contrast, the APR intercooler system saw IAT’s only raise 1 °C! 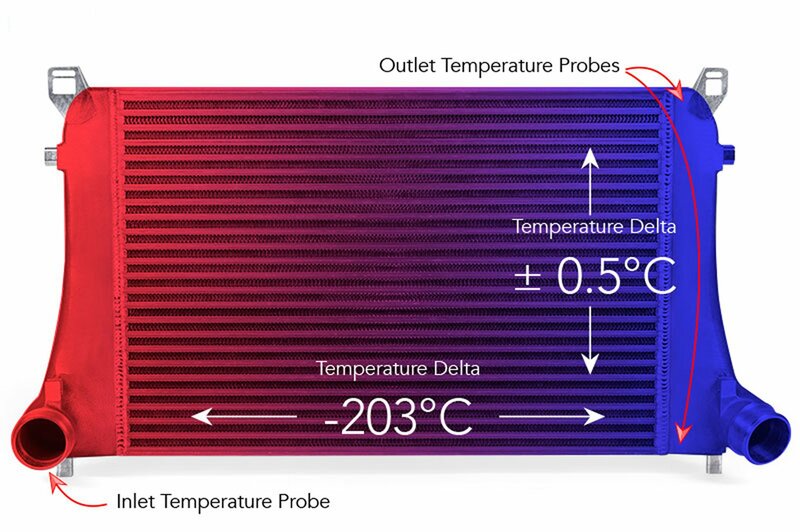 The APR system effectively rejected heat soak and by the end of the sixth run saw a final IAT of 36 °C where as the factory intercoolers struggled to keep up, resulting in a final performance robbing IAT of 54 °C. 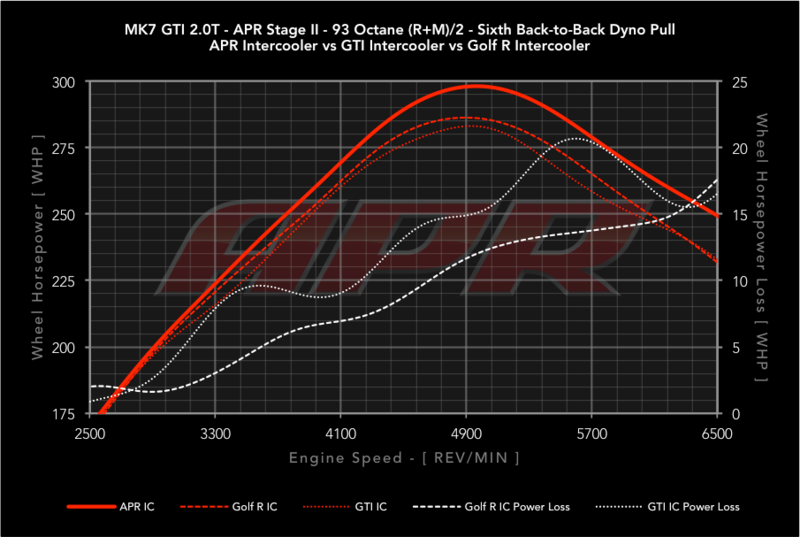 This translated to a final gain of 14 WHP over the Golf R intercooler!